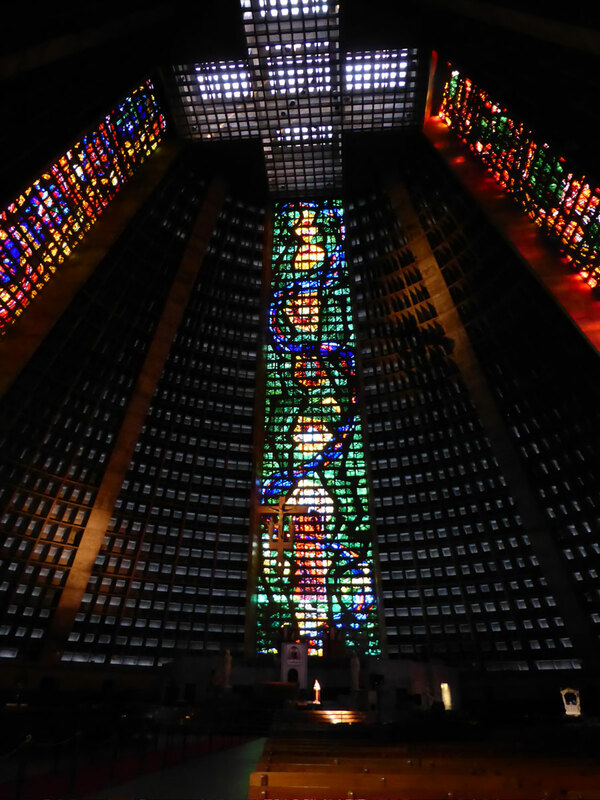 Look at this for a fantastic example of a wonderful modern cathedral. Utterly different from the gothic splendour of, say, Lincoln, but a very special place - and those modern stained-glass windows are just mind-blowing. I hope to go and have a better look one day, preferably when I have two good legs to stand on and enjoy it - last time I visited this place I had a broken ankle and was hobbling on elbow crutches. I was very lucky to get this glimpse as the cultural police had closed off the area and I was one of the last people to be allowed to sneak through a cordon. It was a grey and overcast day at the time so I can only imagine how the windows must look in blazing sunshine.